Do you want to maintain the health of your bones as you age? It is common for bones to begin to degenerate and weaken with age. This is largely due to a lack of proper nutrient availability for the maintenance and regeneration of the bone structure. Most people know that minerals like calcium, magnesium, and phosphorus are important to keep bones healthy. 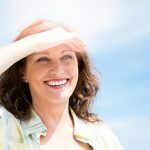 This entry was posted in Lifestyle, Research and tagged osteoporosis, bone health, Vitamin D, Sun on October 28, 2018 by development. Are you looking for the perfect bone building snack food? Walnuts may be the answer! These nutritional powerhouses are loaded with vitamins and minerals that can support optimal bone health and reduce your risk of developing degenerative bone diseases such as osteoporosis. So next time you get hungry, instead of reaching for the sweets, do your bones a favor and have some walnuts instead! 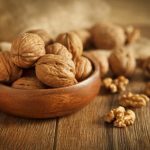 This entry was posted in Nutrition and tagged bone health, walnuts on October 21, 2018 by development. According to statistics, it is likely that you or someone you know suffer the from osteoarthritis. In fact, The Center for Disease Control (CDC) approximates that by the year 2040 almost seventy-eight million adults will have some form of arthritis. This entry was posted in Lifestyle, Nutrition and tagged bone health, diet, arthritis, Inflammation, Food on October 12, 2018 by development. Beware: This Toxin Linked to Osteoporosis! The world is more polluted now than ever before in history. There are thousands of different toxic substance in the air, water, and food that we contact every single day. And the problem is far worse in cities than in more rural areas. This entry was posted in Lifestyle and tagged osteoporosis, bone health, research, Pollution on October 4, 2018 by development. Can You Reduce Your Osteoporosis Risk With This Popular Food? Do you want to avoid osteoporosis? Degenerative bone disease like osteoporosis can be devastating. These conditions often begin a cascade of debilitating conditions and lowered quality of life. 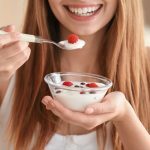 This entry was posted in Nutrition and tagged osteoporosis, bone health, research, Yogurt on September 27, 2018 by development.